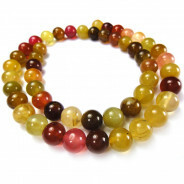 Multicolour Tourmaline Round 8mm Gemstone Beads (50pce Strand) - 40cm/16'" Strand. 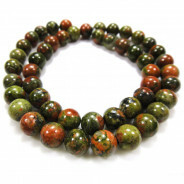 Tourmaline is classified as a semi-precious stone and the gemstone comes in a wide variety of colours. 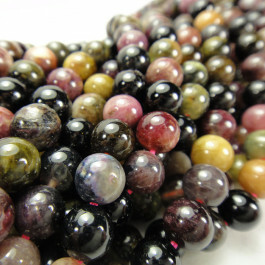 Tourmaline naturally generates a weak electric current, producing far infrared rays and converting moisture in the air to negative ions. It is believed these unique electric properties are responsible for many beneficial health effects. 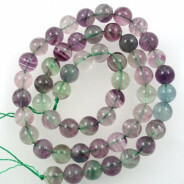 These beads are a mix of Tourmaline colours. 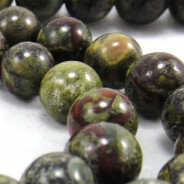 Generally include shades of black, brown, pink and green.